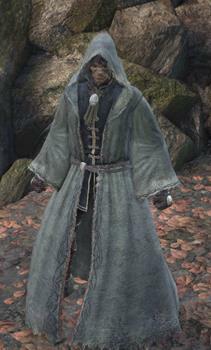 Sorcerer Set is an Armor in Dark Souls 3. 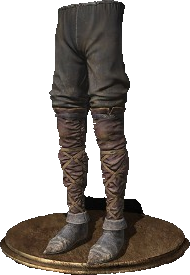 Attire of a sorcerer from the Vinheim Dragon School. Long, ash-colored robes. Underneath is a deep blue sorcerer's coat; conventional uniform of the academy. Looted from a corpse in the castle ruin where you can summon Eygon at Road of Sacrifices. Jump into the hole on the ground next to Eygon's summon sign. *note: you must be embered to see summon signs. Also beware the Lycanthrope. Male characters wearing the robes will have their hood up while female characters wearing the robes will have their hood down. Combine this hood with the sellsword amor chestpiece. You will transform from an oriental curved sword fighter into a normanic crusader instantly. Colors and fabric are fitting perfectly. It has even a greater impact if your chars face is an older one. Sean Connery Highlander style. To round things up go for some knightly leggings and gauntlets. 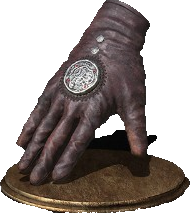 The brigand gauntlets excel here aswell. I wish the hood would go up when you&apos;re wearing the ugly crown of dusk. 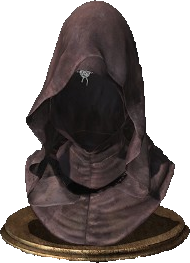 Seems like the game allows the EK helmet to be worn with the Sorcerer&apos;s Robe hood.You know what to do. Goes down when no head piece is worn and up if any headpiece (that will fit underneath the hood) is worn. I noticed how the chest piece has a hood but has a separate has its own hood. 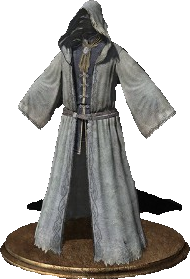 Was looking forward to making fashion souls with the hood from the robe, but when I removed the red hood, the robe&apos;s hood was also pulled down. Can anyone test that if the robe&apos;s hood stay up if there is an "incompatible" helmet or if there is a lack of a headpiece only?